This is a sponsored conversation written by me on behalf of Arm & Hammer. I received free product as well. The opinions and text are all mine. Since our move to North Carolina our laundry situation has changed quite a bit. There’s somehow more clothes! 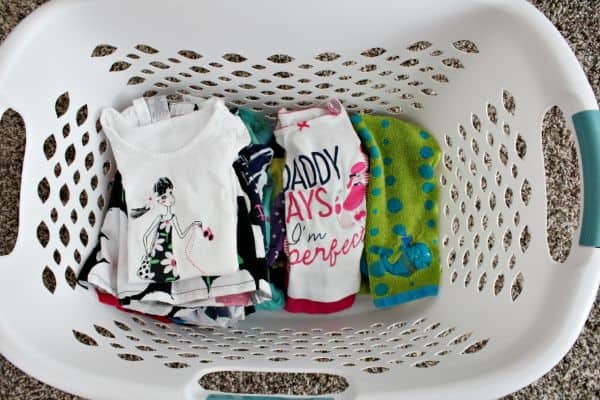 Between Riley changing when she comes home from school to my change from workout clothes to real clothes so that I can get the girls to gymnastics and dance, there seems to be almost double the amount of laundry. Luckily I’ve found some go-to tricks so that laundry is made easy with just a few simple changes. 1. Set a reminder to switch the laundry. It’s easy for me to throw laundry into the front loader at any time, but I have the tendency to forget about it. I found that if I set a reminder on my phone for an hour after I started the laundry then I managed to stay on top of it. Our laundry machine sings a song when the laundry is done, but I’m not always downstairs to hear it. I usually have my phone nearby and if I don’t it’ll keep going off until I get to it so it’s a great reminder to make the switch. I set a second alarm for 45 minutes after I start the dryer so that I make sure to complete the laundry. 2. Find a laundry detergent that works for you. You might remember that we had a bit of an issue with the fact that our front loader was in a closet because we weren’t able to keep the door open to dry, which lead to a whole grossness inside the drum of the machine. Luckily, I figured out the perfect way to clean our front loader. One of the problems we ran into with our front loader was that our detergent was leaving a residue in the compartment for detergent. I made the switch to Arm & Hammer Liquid Detergent and their new line Clean Scentsations not only smell of pristine freshness, but they also include baking soda. It’s a win-win. 3. 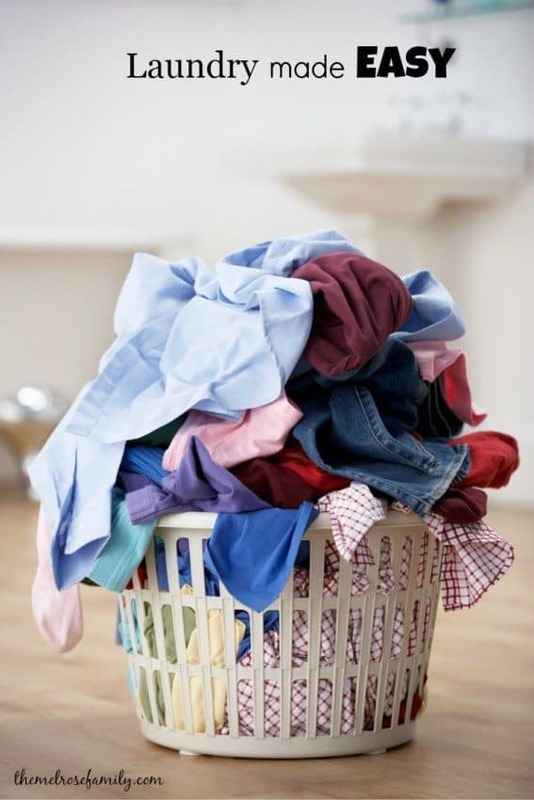 Bring the clothes straight from the dryer into the master bedroom to be put away. When we lived in NY our laundry closet was on the first floor and we ran into all sorts of issues with a back up of clothes never getting put away in their drawers upstairs. Our laundry room is still on the first floor, but so is our master bedroom. It’s actually right next to each other so I simply fold the laundry in our room and put our clothes away. By bringing your laundry into your master bedroom it’s likely that you’re killing to birds with one stone. I put away two sets of clothing, mine and my husband’s by doing it this way. 4. 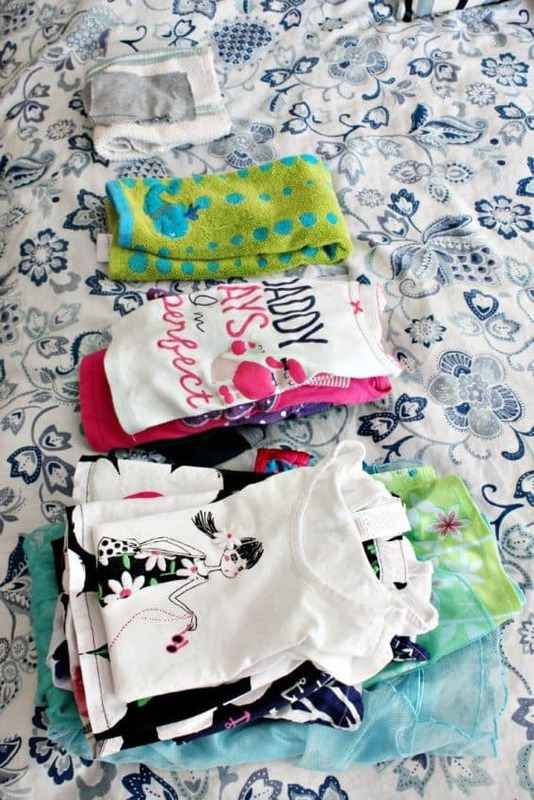 Create piles for the kiddos in the house. We have two girls that are both a bit young yet to put their laundry away so I create piles of their clothes to make it easier to put everything away. I also separate the clothes that get hung up from those that go into their drawers. My girls have a tendency to wear a ton of dresses and skirts so a lot of their clothes get hung. 5. Make putting the clothes away part of your routine. Since heading back to school, we make sure to pick Riley’s clothes out for the next day. Since I’m heading upstairs to pick out Riley’s outfit for the next day, it’s easy to just grab the laundry basket and put clothes away at the same time. Getting into a routine is key though. Since back to school is clearly on everyone’s mind, Arm & Hammer has partnered with Scholastic to bring families the opportunity to create the most memorable season ever with outdoor crafts and activities. Plus, the two have put together the fun Your Adventure Awaits Sweepstakes where your family will be entered to win a family vacation to Maine’s Acadia National Park.